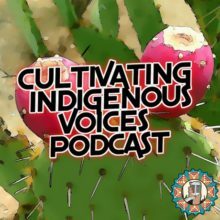 In this episode I interview special guest Lupe Sotelo, lead of the Tucson chapter of Latino Outdoors (LO). This nationwide movement began as an opportunity to connect and engage more Latino communities to the outdoors. The founder, José González, discovered that there was little to no information about American-Latino organizations in conservation during his search. At that time José was pursuing his Master’s in Natural Resources and the environment at the University of Michigan in 2009. Soon after his discovery José began to pursue opportunities to collaborate and work in bringing Latino youth and their families to enjoy hiking/recreational trips. Since then this has been a growing phenomenon across the country where the Latino community can embrace wilderness, while making cultural connections. Which leads us to Latino Outdoors Tucson where Lupe has volunteered her time to take lead in organizing these same experiences for locals in the Tucson area. During the interview Lupe shares about what drives her and the LO team to coordinate and encourage Latino families to come out for a picnic/hike. Through planned carpools to picnic areas and hiking trails, the group regularly makes trips to State and National Parks. I had the privilege of joining in on an evening picnic and night hike at Saguaro National Park-West. With food being the jump start to this gathering, I had the chance to meet individuals and their families over some delicious hot chocolate and snacks. Soon after we had a brief introduction before heading out, headlamps and black lights were handed out to everyone for safety and exploration. It was great to see young people, moms and dads, grandparents, babies, couples, etc. excited to explore the unfamiliar trail. Throughout the hike I enjoyed listening to our surroundings, sharing what knowledge I had about desert plants and animals, and capturing personal stories. Together we got to see a great horned-owl sitting on the arm of a large saguaro as the sun began to set and the winds began to gently blow. To some it takes them back to their childhood playing, camping, or swimming in the outdoors, to others it’s just the beginning for them to embrace these beautiful landscapes. This experience gave me a better understanding to why we need to stay connected to the outdoors, and why we need to stay rooted in our cultures.